The “Sacred Way” was the road from Athens to Eleusis (Elefsina in modern Greek). It was the route taken by a procession celebrating the Eleusinian Mysteries that began at the Sacred Gate in Kerameikos (the Athenian cemetery) and ended at the Sanctuary of Demeter at Eleusis following the same course of today’s “Iera Odos”. Part of the “Sacred Way” was revealed during excavations for the extension of Line 3 of the Athens Metro and can be seen at Estavromenou Square in Aigaleo, near the homonymous metro station. You can check the official website of the Ministry of Culture for further details. 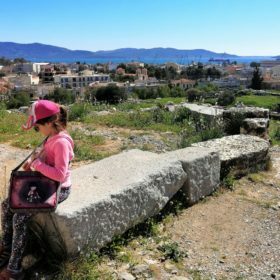 Even more interesting though, is a tour (by car) starting from the ancient cemetery and the museum of Kerameikos to the archaeological site of Eleusis through the ancient “Sacred Way” with a stop at the Diomidis Botanical Garden and the adjacent Daphni Monastery, located in the middle of the distance. Kerameikos is one of the most beautiful, yet less popular, archaeological sites in Athens. As suggested by its name, Kerameikos (from the Greek word for pottery) was a settlement of potters and vase painters, and the main production center of the famous Attic vases, as the soil was rich in clay deposits thanks to the small Iridanos river. 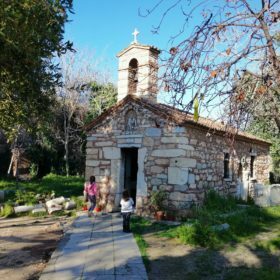 The area close to the riverbank suffered continuously from the overflowing river, so it was converted into a burial ground, which gradually developed into the most important cemetery of ancient Athens. For admission and tickets, you can check the official website of the Ministry of Culture, whereas for a guided private family-friendly tour, request availability here. 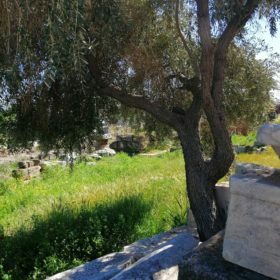 Following today’s Iera Odos which geographically coincides with the ancient “Sacred Way”, you will pass from Athens’ ancient olive grove, Eleonas, from which nothing -unfortunately- remains. 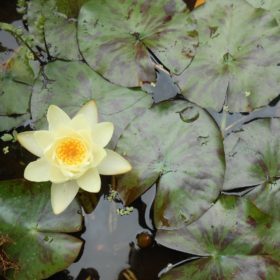 Attica’s rich flora, however, can be appreciated in the Diomidis Botanical Garden that hosts a natural and cultivated vegetation of high diversity, a natural habitat and an ideal refuge for the local fauna. 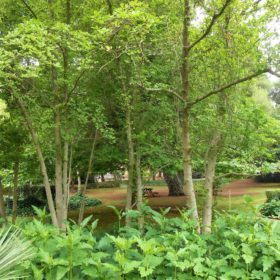 The Garden undoubtedly improves the surrounding urban area around Iera Odos being an isle of “breath” and “tranquility” for the western part of Athens. At the same time, it offers an educational field for institutes of primary or secondary education and a research field for the Biology Department of the University of Athens and the Agricultural University. There is the possibility of a guided tour and at the entrance, you will find a café restaurant with a playground. Pic nic at the park is also an option. Next to the Garden’s main entrance lies the Daphni Monastery, recently renovated, with superb mosaics dating from the end of the 11th century and a unique, fine example of the Classical idealism of Middle Byzantine art. The Monastery is built on the site of the ancient sanctuary of Apollo Daphnaios which was destroyed during the invasion of the Goths in 395 A.D. Of the old temple, only one Ionic column remains in the colonnade of the narthex, while the rest were removed by Lord Elgin in the 19th century. The monastery, dedicated to the Dormition of the Virgin, was founded in the 6th century A.D. but it was later abandoned till the 11th century and its reconstruction by an unknown benefactor. 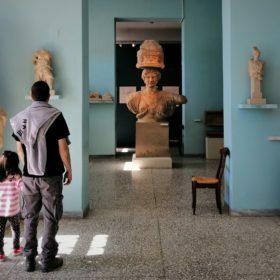 Check the official website of the Ministry of Culture for further details and contact MAMAKITA at mommylook@mamakita.gr for a guided private family-friendly tour available only on Tuesdays and Fridays. 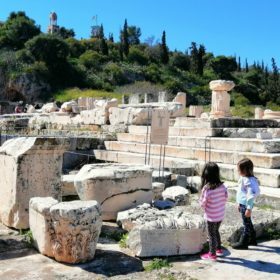 The tour ends at Eleusis, 17 km (approximately 11 miles) from Athens, where the Eleusinian Mysteries took place every year around the end of what we now call September. 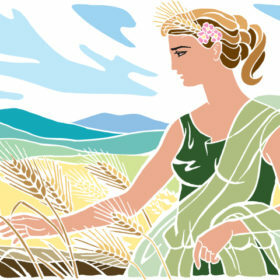 The Eleusinian mysteries, a ceremony to the cult of Goddess Demeter revolved around the myth of Persephone and lasted nine days. In today’s city of Eleusis, you will be able to visit the Sanctuary and follow the festivities of the Eleusis Cultural Capital 2021, a project giving new life to industrial buildings and aspiring to creating a bridge between the city’s ancient past and the era of industrialization. 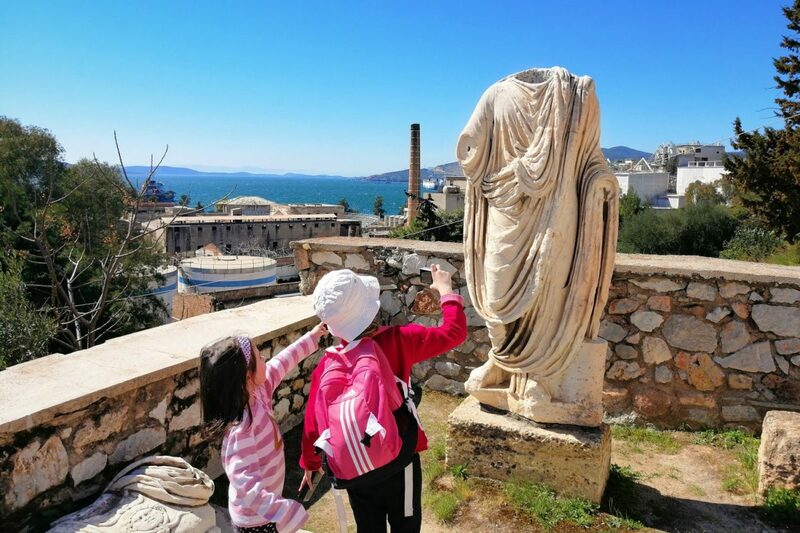 Check the official website of the Ministry of Culture to find out more regarding admission and contact MAMAKITA at mommylook@mamakita.gr for a guided private family-friendly tour. 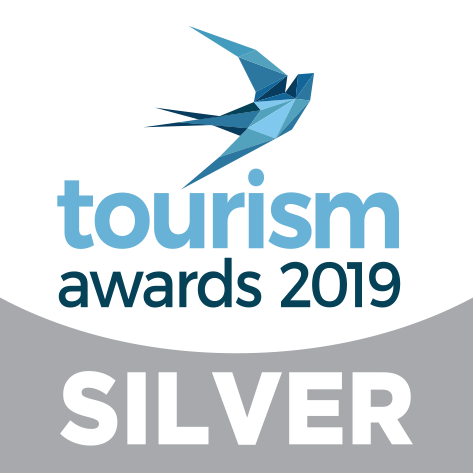 To discover more regarding Eleusis Cultural Capital 2021, the events and exhibition sites, visit the website Eleusis 2021. 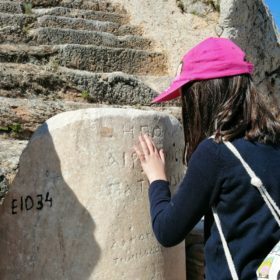 This entry was posted in English and tagged archaeological sites Athens, archaeology lovers, Athens with kids, family in Athens, gardens Athens, Greece with kids, sacred way Athens.